With lawyers present in the room, Concordia President Alan Shepard asked the university’s senate body to understand he can’t fully comment on the news that a recently departed senior admin received $235,000 in severance. His comments about former Chief Financial Officer Sonia Trudel came during his opening remarks at senate’s monthly session this past Friday afternoon, where among other points, the 2015-16 budget model was presented. The university takes “extraordinary” care for all their hires, Shepard explained, but added that sometimes they don’t work out. Trudel worked as Concordia’s CFO for less than three months. She began the position last semester on Sept. 21 and left on Nov. 12. Shepard reiterated to senate that her departure was a mutual decision, and acknowledged that the severance package was a “substantial” amount of money to give. Following his remarks, Shepard offered the opportunity for senators to ask questions or comment on the situation surrounding Trudel’s severance package. A few senators questioned the hiring process and asked what was being done to ensure a situation like this wouldn’t happen again. David Douglas, a senator and president of Concordia’s part-time faculty union, voiced this sentiment and explained that faculty members aren’t part of the committee to hire the CFO. Shepard said that ultimately it was his recommendation to hire Trudel. Further responding to Douglas, the university president said that despite not having faculty sit on the CFO’s hiring committee, they go through the same “checks and balances” of any hiring committee. As one of the final agenda points at senate on Friday, the interim CFO Patrick Kelley—who preceded Trudel and took over the position again after she left—presented the budget model for 2015-16. The Quebec government cut approximately $72.9 million from its grants to public universities last year, according to the presentation by Kelley. 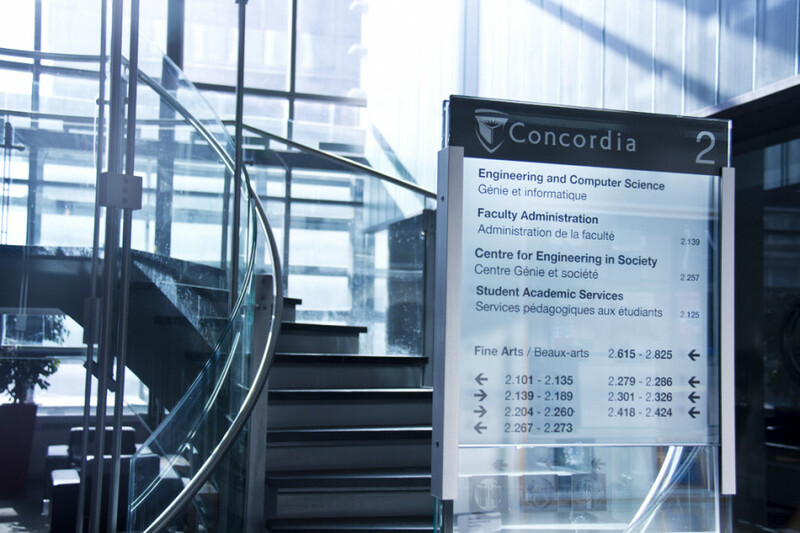 By the end of this year, Concordia is projected to lose an additional $6.2 million on top of the $30 million in cuts it has accumulated over the past four years. According to the report, the university is also expected to run a deficit of approximately $8.2 million as its total expenses are projected to be almost $400 million. Revenues for the year are anticipated at about $387 million. Salaries, benefits, and employer pension plans make up the bulk of the expenses at approximately $300 million. In the report, “other expenses” are projected to be $60 million, which Kelley explained are for facilities like electricity and hydro. According to his report, the projected expenses represent a 1.35 per cent increase from last year. In relation to Kelley’s presentation, the university’s Provost, Benoit-Antoine Bacon, explained the new system for approving projects while openly discussing competition for funding among faculties and departments. He said that for interdisciplinary academic collaboration, the main barrier is always the question of “who pays?” A committee of the Provost, the VP of Research and Graduate Studies, and the CFO, will now approve requests for funding, Bacon explained. Senator Rosemary Reilly voiced her concern that the new rules will create a climate of competition across faculties and departments. In response, Bacon said competition is a reality but he wants to avoid a situation where the one who “screams the loudest” receives funding. President Shepard said during his opening remarks that he would be surprised if more budget compressions came from the government in the future, following his talks with government officials last week.